Everyone in my family wears glasses. My sister, my brother, my mother, my boyfriend. We all wear glasses and after awhile it becomes quite costly when prescriptions change or you damage glasses that have no warranty, or if you have no coverage! Let me introduce to you 39dollarglasses.com. There are literally hundreds of discount glasses to choose from and a lot of them start at just $39. 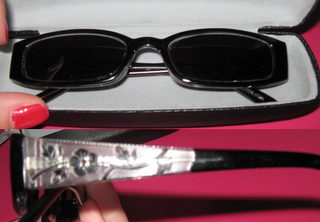 From sunglasses, to plastic frames, to children's glasses. The pair I chose are called Sofia and I picked the black. I gave them to my mother because she had just lost her pair of prescription sunglasses. (ouch!) I am so, so happy with them. I was worried about the sizing because she wasn't able to try them on, but I measured the distance from the middle of one pupil to the other, which is your 'PD' number, and the fit is perfect. She absolutely loves them and has already told everyone at work about 39dollarglasses.com! Sofia in Black - So cute!! 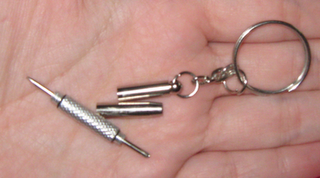 They came with a hard black case, a soft gray drawstring pouch, a cleaning cloth and a keychain screwdriver. The fact that it came with the screwdriver is AWESOME! I can't count how many times we have had a loose frame and trying to hunt down a tiny screwdriver is frustrating.